Tues., Jan. 18 – 7 pm – DMNA Council Meeting – Prairie UU Society Bldg., corner of Whenona & Crawford. Any resident may attend, but only Council members may vote. 3 - Going Green With MG&E – How Did We Do? 20 - Happy Holidays from the National Women's History Project! 21 - Which Great Woman Was Born On Your Birthday? Prairie UU Society invites neighbors to join in singing traditional Christmas carols on the afternoon of Christmas Eve. This “Candlelight Carol Sing” event is open to people of all faith traditions – or none at all. If you like singing carols, plan to attend. Although it isn’t necessary, you are welcome to e-mail the titles of your favorite carols to dchapru@aol.com. The event starts at 4:30 pm.. Location: Prairie UU Society, 2010 Whenona Drive, corner of Whenona and Crawford. Are you full of civic spirit and want to work with others to watch over and improve our neighborhood? Well look no further. You might be just the kind of person the Dunn’s Marsh Neighborhood Association is looking for to fill out our DMNA Neighborhood Council. A full Council is 12 people, but only 8 were elected at the annual meeting of the Association on October 21. Thus, 4 positions are available. One of them must be filled with a person from the Allied area of the neighborhood, but the other 3 can come from anywhere in the neighborhood. Currently we have 4 Council members representing the Marlborough area, 3 from the Crawford area, and 1 from the Belmar area. Council members must be willing to abide by our bylaws, have their contact information published, commit to attending our monthly Neighborhood Council meetings, and help with the work of the neighborhood such as delivering flyers and attending other meetings. Positive ideas about how we can improve the neighborhood are most welcome. Council members must be or become members of the Association. Potential Council members should apply by coming to a neighborhood council meeting ready to share your goals for the neighborhood and any experience that will help the Council evaluate your “application.” The current Council votes on members to fill vacancies. Remember back months ago when the Dunn’s Marsh Neighborhood signed up the neighborhood to participate in the Green Power Tomorrow challenge? Well, we didn’t win, but we didn’t finish up at the bottom of the 16 neighborhoods that participated either. The winner was the Carpenter-Ridgeway Neighborhood with second place going to Westchester Gardens. Both are East side neighborhoods in the vicinity of the Dane County Regional Airport. Respectively, they had a net increase of 3.77 % and 1.37 % of households signing up for the green energy prices in their electric bills. The Dunn’s Marsh neighborhood came in 7th out of 16 with a net increase of .43%. This was below Sunset Village, Schenk-Atowod-Starkweather-Yahara, Meadowood, and Elvehjem. Our neighborhood was above Orchard Ridge, Wexford Village, Lake View Hill, Dudgeon-Monroe, Emerson East, University Hill Farms, Regent, Greenbush, and Tenny-Lapham. In fact, the last 4 had a .00% net increase. To see the chart of the neighborhood contestants, go to http://www.mge.com/environment/green/greenpower/neighborhoods.htm <http://www.mge.com/environment/green/greenpower/neighborhoods.htm> <http://www.mge.com/environment/green/greenpower/neighborhoods.htm <http://www.mge.com/environment/green/greenpower/neighborhoods.htm> > . Gotcha! If you look at the attachment, you won’t see the whole history of Marlborough Park, but you will see how some of it has changed in 8 years. The first panorama was taken in May 2002 when new DMNA Council member Dorothy Krause bought her house in the neighborhood. Dorothy took second panorama this past fall, in October 2010. Of course, some of the difference is due to the season and the slightly different viewpoint. Still, careful viewers will notice that now we have a blooming prairie on top of the hill near the water fountain. Some young deciduous trees have also grown up to the left, right, and in front of the bench. 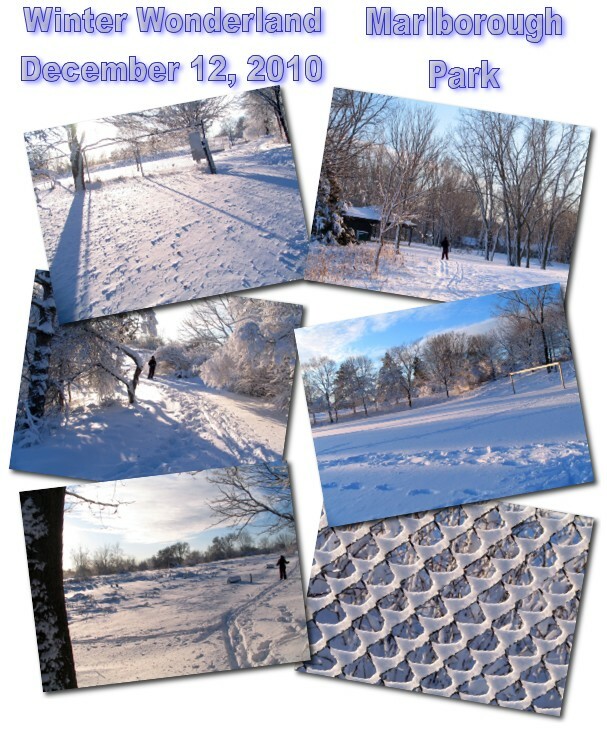 After the big snowstorm about a week ago, Marlborough Park and the entire neighborhood became a winter wonderland. 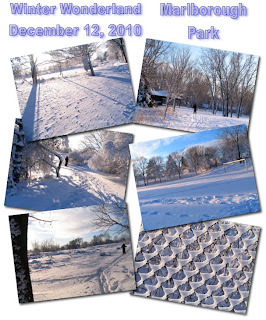 Check out a collage of photos from the park. It was great for skiing! Greetings. I'm happy to report that my students’ article, "Dunn's Marsh: A Wonderful Place to Visit or Call Home," appears in the December 2010 issue of Sustainable Times. There's a reference to the article on the bottom of the front page, and the article appears on pages 18-19. They did a great job, and thanks for your help, DMNA. The December issue is on the news stand, but not yet on the Sustainable Times website (www.sustainabletimes.net<http://www.sustainabletimes.net/>), which currently is only up to the October issue. Find it at Victor’s Coffee on Monroe Street and other locations. A busy month of meetings culminated this past week on December 14 with some positive changes to the Madison resolution and comments about the Verona Road Supplemental Draft Environmental Impact Statement. In the end, the Madison Common Council adopted exactly the resolution that the Dunn’s Marsh Neighborhood Association (DMNA) and Allied-Dunn’s Marsh Neighborhood Association (ADMNA) had lobbied for. The comments to be submitted to WisDOT (Wisconsin Department of Transportation) by the City were more of a mixed bag since the City declined to include several of the associations’ suggested changes. The neighborhood could count it as a victory that Madison changed the resolution to make it a simple submittal document while adding many of the responses to the City staff comments that had been recommended by the neighborhood associations. Among the added responses were suggestions to evaluate a ped/bike bridge over Verona Road at the Beltline, to favor “Option B” to keep the Beltline frontage road next to the Beltline rather than have it dip down to Britta Parkway, to consider adding a signal on Seminole Highway at Sentinel Pass, and to note the associations’ opposition to a detention basin next to Dunn’s Marsh. Brian Solomon, 10th District Supervisor, was instrumental in getting neighborhood responses included to the extent that they were. The resolution and comments were sponsored by himself and Mayor Dave Cieslewicz. See Alder Solomon’s direct comments about the Verona issue within his December District 10 column in this newsletter. While many of the responses put into the official City comments were just notations of the position of the associations, this was felt to be better than not even having them mentioned at all which was the case of the original staff comments. Omitted was any mention of a moratorium on reconstructing the highway. Only one brief sentence mentioned health concerns although several residents had worked very hard to convince the City that there are grave consequences from the air pollution and noise of an enlarged major backbone highway like Verona Road. The project will add 2 lanes to Verona Road and 2 lanes to the Beltline between Whitney Way and Verona Road. The City also refused to change its request that WisDOT buy up and demolish properties far in advance of Stage 3. Stage 3 is anticipated to be about 2020. Stage 1 construction is expected to begin in 2013. Several residents who had worked very hard to change the City’s comments were bitterly disappointed at the City’s refusal to recommend a moratorium. All this work was preliminary to what really counts, the official submission of comments from all parties to WisDOT. The deadline for comments was December 17. Readers interested in knowing the exact content of the resolution and comments may respond to this newsletter with a request. The Dane County resolution to WisDOT on the Verona Road Supplemental Draft Environmental Impact Statement, passed on December 16, focuses on monitoring of noise, air, and water impacts. The monitoring requests matched suggestions made by the DMNA and the ADMNA. They had been made known to county supervisors for our neighborhood when the October 7 letter to Mayor Dave was copied to them. · implementation of “Option B” to keep the Beltline frontage road next to the Beltline rather than letting it dip down to Britta Parkway. While the neighborhood associations focused mostly on the City of Madison’s input to WIsDOT, residents worked to get “Option B” into the County resolution. Carousel Bayrd, county supervisor for the Madison part of the neighborhood, added this wording the night the resolution was passed. · a lengthy detailed rationale for all requests that was substantially similar to the rationale given to Mayor Dave in October. A core group of neighborhood residents offered countless hours of their time to try to influence the Verona Road reconstruction project. Many thanks for your efforts! Residents most active in the past few weeks in going to City and County meetings, contacting elected representatives, and leveraging comments to WisDOT were Jo Ann Kelley, Kim Zinski, Connie Roderick, Sunshine Jones, Nathan Beck, Donna Sarfin, and Mary Mullen. These people attended meetings both in and outside the neighborhood, talked to and wrote e-mails to officials, and spent more hours preparing their statements. Others in the neighborhood have also submitted comments to WisDOT either by attending the public hearing on October 13 or by turning in written comments. Active in securing comments from Allied area residents was Sina Davis. Again, thanks to all who worked on this issue and also to your families who supported you in this work. Whether you were named or not in this article, whatever you took the time to do, the neighborhood is better for your efforts. While the Verona Road project has been a major concern of Dunn’s Marsh Neighborhood Council in recent months, there’s much more anyone can hear about and make happen by attending Council meetings. Here’s a sampling. If neighbors – you - really want any of these events to happen, let someone on the Council know of your willingness to help get them going. The eight people on the Council can’t do everything. In December, the Council heard more about the Welcomer’s program. The Council is looking for volunteers who love to meet new people to become Welcomers. The neighborhood is divided into several smaller sections with a coordinator for each section. Ideally, there would be an additional volunteer Welcomer from each street so that nobody will have too much to do and so we don’t miss people who are newly moving into the neighborhood. Welcomers will be trained and provided with information to pass on. The Council also learned in December that the Allied Wellness Co-op received a $50,000 shot in the arm for a 2-year planning program with the UW Partners Program. The Allied Wellness Center is the fiscal agent for the grant which will fund one person who will work with a neighborhood understudy. The grant provides for a department at the UW to work closely with the project. Also in the wind are community gardens close to Allied Drive and “doggy poop stations” in Marlborough Park to complement the one barrel for doggy discards at the circle of Lilac Lane. The DMNA may apply for a grant for the doggy stations which would provide plastic bags for doggy-do and additional places to dispose of them properly. At its next meeting on January 18, Council members will each talk about their vision for the coming year – or more - for the neighborhood. Any resident may attend to listen or bring up an idea or concern. Contact DMNA President Jeff Glazer if you plan to attend. It’s the age of connection. To help you stay connected, below are lists of neighborhood and handy city contacts for your refrigerator. Included are 3 places you can follow the DMNA on the world wide web. Websites for both Fitchburg and Madison are also listed. Because those sites have a wealth of information, it may take awhile to use them to their fullest extent. Experienced users know how to find agendas and minutes of meetings, names and contact information of people serving on city committees, and ways to report problems in the neighborhood. Recently the Madison site was invaluable in keeping up with the Madison resolution about the Verona Road project. One seat must be held open for a representative from the Allied area. Fitchburg part of the neighborhood. Police non-emergency - Madison – 255-2345. Madison West Dist. - 243-0500. Overture. We voted on 12/14 to resolve this issue. We voted on the private / private model that eliminates the debt, gives ownership and operation to a private non-profit, and pledges to offer $2 million in city support per year toward operations. I voted for this compromise, but with a great deal of trepidation. As many of you know, I co-authored a letter two months ago, signed by 15 alders, asking for more time. At our November 30 Council meeting, I developed a “transition” amendment that offered much of what Overture needed in the short term, but gave us more time to study the long term owner / operation issue. It failed in place of a decision to go private / private immediately. However, there is no such thing as private / private when it comes to a place like Overture. It is too important to our city and if further problems occur, the City will be looked at for further assistance. Hopefully the new deal ensures that, should that time come, Overture has such strong public and community support that our deeper involvement would be welcomed without question. I will welcome that day. For now, Overture is safe, the debt issue is resolved, taxpayers are protected, Overture employees are taken care of as well as possible, and we have strong hope that Overture will only get better. I guess we could have done a lot worse than that. Verona Road. We voted on 12/14 to support the City’s comments to WisDOT and the Federal Highway Administration on the SDEIS. I want to give my DEEP thanks and appreciation to our Dunns Marsh residents and the Dunns Marsh Neighborhood Association for being so involved in this process, for being active in the environmental justice coalition, and for working with me to ensure we have the best comments possible. The comments made clear that this process was flawed and made clear that more work needs to be done on this project. Other than delaying or killing the project (which would be virtually impossible), or looking more holistically at multi-modal approaches to solving transportation problems (we’re sadly not quite there yet), or creating a south reliever (which would just increase sprawl), I don’t think we could have done much better. More to come, but thanks so much to everyone for their involvement and voice. It has been heard. Budget Update. Most of you know that the Madison Common Council passed our annual Capital and Operating budgets after two nights of deliberations back in November. I sponsored several budget amendments. I voted against some spending increases and in favor of others. I lost some votes and won some. I was pleased that we were able to include additional funding for our community service program grants and $5,000 for an ice rink in Nakoma (a great partnership between Nakoma residents and the Madison Parks Department, see below for more information). I tried for the second time to include minority hiring and living wage targets in the Edgewater TIF allocation, and failed for the second time. I can’t say this budget focused priorities exactly in line with mine, but overall I felt it was a solid budget and I did vote for it. High Speed Rail. I have written several articles on this and need to combine them into a blog piece one day. The summary is that the US DOT’s decision to reallocate Wisconsin’s $800 million is a sad day for progress, for Wisconsin, and most importantly, for a vision of transportation that moves beyond cars and highways (see Verona Road article above!). I wasn’t thrilled about this high speed rail plan because the trains, in my mind, weren’t going to go fast enough to entice enough riders out of their cars, but that concern wasn’t sufficient to overcome the vast economic development and car-alternative possibilities that the proposal offered. There is a good chance now that Chicago and Minneapolis will be connected via Illinois and Iowa. Just imagine how devestating it would be if that were the case with the highway system. I know and understand that people had concerns about operating costs and that is a very real concern. But Europe, Asia, and now many other states in the US are making investments in transportation infrustructure that will carry them deep into the 21st century, and its hard to imagine many levels where Wisconsin, watching from the sidelines, benefits from that. Allied Update. The Allied Wellness Cooperative just received another grant for forward movement- congratulations to Susan Corrado and her whole team! Diana Shinall and MAP have leased the crafts mall in front of Home Depot and continue to make progress on their vision for a one price dry cleaner that will offer job training opportunities to disadvanted residents. The Allied neighborhood association just had a wonderful community meal where they honored Susan Corrado for all her great work (see above!). And the CDA, Allied Task Force, and Neighborhood Association continue to progress on the vision and implementation of Phase II of the housing redevelopment project. Dane Business Surplus Center Website: The site is for Madison and Dane County area businesses to list surplus or unwanted items, equipment or materials. This was modeled after the Madison Stuff Exchange website, which has 11,000 members and has prevented 2.6 million pounds of material out of landfills since 2004. For more on the Stuff Exchange, check out www.madisonstuffexchange.com <http://www.madisonstuffexchange.com/ <http://www.madisonstuffexchange.com/> > . For more on the Business Surplus Center, check out www.dcbusinesssurplus.com <http://www.dcbusinesssurplus.com/ <http://www.dcbusinesssurplus.com/> > . Trees. I got a few emails this fall about how the city plants trees. Our policy is to plant the right tree in the right place – basically, to avoid tree and overhead wire conflicts. As our City Arborist would say, our policy follows the “arboriculture norm” and how most municipal forestry programs nationwide operate. Here is the Wisconsin DNR New Tree Planting brochure: http://dnr.wi.gov/forestry/publications/newtreeplanting.pdf <http://dnr.wi.gov/forestry/publications/newtreeplanting.pdf> . Other good sites include the right tree / right place web page at the Arbor Day Foundation: http://www.arborday.org/trees/righttreeandplace/righttree.cfm <http://www.arborday.org/trees/righttreeandplace/righttree.cfm> and the International Society of Arboriculture’s Trees Are Good webpage at http://www.treesaregood.com/treecare/avoiding_conflicts.aspx <http://www.treesaregood.com/treecare/avoiding_conflicts.aspx> . Hope that helps. Dog Parks. Two new parks opened in late November: McCormick Greenspace, 702 N McCormick Avenue and Demetral Park, 601 N Sixth Street. Both have new fenced dog parks. They join our four other off-leash dog parks: Brittingham Park, Quann Park, Sycamore Park and Warner Park. 2011 Dog Park Permits are now on sale. The cost of the Annual Permit is $27 and the daily permit is $5. To purchase a permit for your own pet, visit www.cityofmadison.com/parks <https://my.cityofmadison.com/emaillists/redirect.cfm?ID=21006&amp;MID=3716&amp;LID=23> . New Winter Parking Website. This new website offers information related to winter parking rules and snow plowing operations. Check it out at www.cityofmadison.com/winter <http://www.cityofmadison.com/winter <http://www.cityofmadison.com/winter> > . On Line Recyclopedia and New Streets Website. 2011 Recyclopedia’s and collection calendars are now available online – first time ever! Save some trees and opt out of the mailing at: https://www.cityofmadison.com/streets/recycling/recyclopedia/. Register for other cool updates and information from streets at the same time, if desired. Oh, and by the way, the Streets department website has been completely redesigned. Check it out: www.cityofmadison.com/streets <http://www.cityofmadison.com/streets <http://www.cityofmadison.com/streets> > . Winter at Madison Parks. Ok, winter is getting old already with this frigid December. But that does bring some goodies, and Madison Parks winter activites are in full swing. Sledding (Elver Park, Heistand Park, Garner Park, Warner Park, Berkley Park, and Olbrich Park), ski trails (30 km at six different locations), and outdoor ice rinks are all available. Don’t forget about the Adopt Ice Partnership, which we just used to secure an ice rink in Nakoma thanks to Madison Parks and over 100 Nakoma volunteers! For more information on Winter Fun in Madison Parks – visit www.cityofmadison.com/winter <http://www.cityofmadison.com/winter <http://www.cityofmadison.com/winter> > . And to purchase ski passes (required at Odana, Elver, and all Dane County Park ski trails), visit the trailhead or purchase on-line at www.cityofmadison.com/epayment <http://www.cityofmadison.com/epayment <http://www.cityofmadison.com/epayment> > . Police Update. Unfortunately, we saw a slight upswing in residential burglaries late in the fall. Remember to use common sense and protect your valuables. Also remember to call police instantly when problems arise. Here is a link to the press release: http://www.cityofmadison.com/news/view.cfm?news_id=2395 <http://www.cityofmadison.com/news/view.cfm?news_id=2395> . Here is a link to south district news and the latest newsletter: http://www.cityofmadison.com/Police/south/ <http://www.cityofmadison.com/Police/south/> . 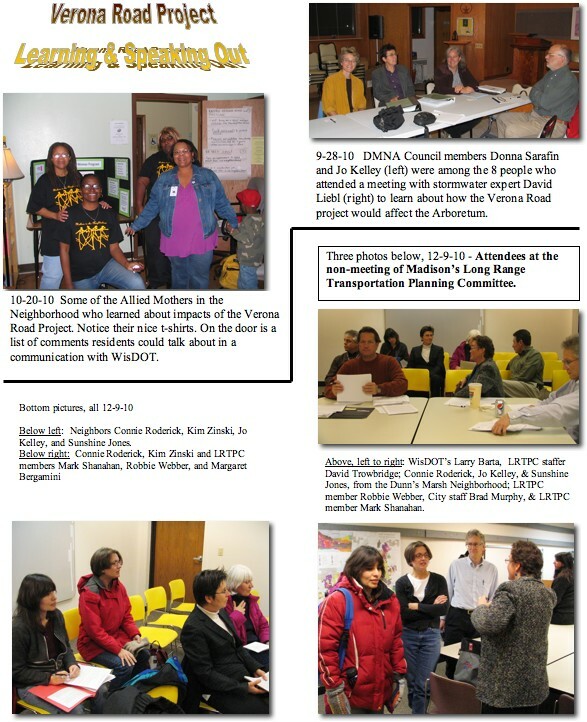 Here is a link to west district news and the latest newsletter: http://www.cityofmadison.com/Police/west/ <http://www.cityofmadison.com/Police/west/> . Junior Parman. For those of you that didn’t hear, Junior Parman died a few weeks ago. He, his son, and brother all owned and worked at Parman’s service station on Monroe Street. Please join me in wishing the family our deepest sympathies; this is a loss for them and for a historic Monroe Street icon. 2011 Neighborhood Grant Program. Materials are available at: http://www.cityofmadison.com/neighborhoods/grantprogram.htm <http://www.cityofmadison.com/neighborhoods/grantprogram.htm> . Contact Linda Horvath at 267-1131 or lhorvath@cityofmadison.com with any questions about next year’s program. Blog Entries: I’ve strangely found a little time to write lately, and even posted a few articles to my blog. One is related to the Council, the other isn’t. If you are interested in my latest cogitations, check them out at: http://solomadison.blogspot.com/ <http://solomadison.blogspot.com/> . Through Dec. 31, 2010, buy LED holiday light strings (up to 12) for as low as $3.99, in various colors and shapes, at participating retailers <http://www.focusonenergy.com/general/brightsavings/2010/pages/retailer.aspx> . This offer is through Focus on Energy, a statewide initiative to save energy and the environment. LED holiday lights last 10 times longer and use up to 93% less energy than standard incandescent mini lights, so you'll be saving on your energy bill. When you use more energy-efficient lighting, you're also doing something good for the environment and saving our planet too. As the City of Madison continues to experience burglaries and thefts from autos, the Madison Police Department is looking for assistance in preventing and solving these crimes. Citizen involvement is a powerful resource and a critical asset to law enforcement efforts. There are often simple steps that can be taken by residents that may help them avoid being victimized. The attached information offers suggestions as to how residents can improve the security of their homes and vehicles. We also need residents to be our “eyes and ears” and report suspicious activity/behaviors. To that end, Neighborhood Watch programs can also be a valuable asset. 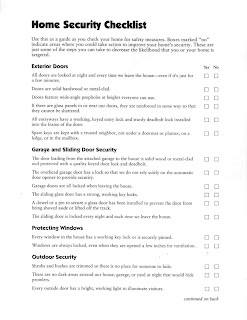 The attached color brochure 2010 Burglary-Theft .pdf gives quite comprehensive information about how to avoid both residential burglaries and thefts from cars. 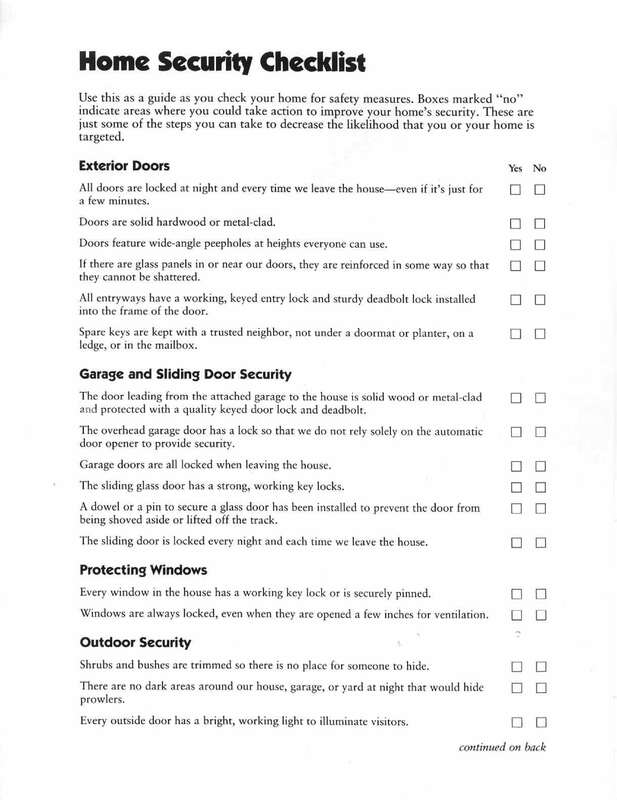 The other one, Home Security Checklist.jpg,, is just that, a checklist. Please look at these, and forward them to your friends and neighbors. We are trying to work more effectively and appreciate any assistance and/or suggestions you can provide. Please call 243-0500 if you have questions or would like to have us attend future meetings. Fitchburg Public Library received a grant from Target Corporation which has allowed us to organize four workshops on the topic of promoting early literacy skills in children. Two of the workshops will be on January 4 and are being co-sponsored by the Madison Metropolitan School District. The first one, from at 10-11 am, is for parents of children ages 3-5 years. It will be held at the Fitchburg Community Center., 5510 Lacy Road. The second, from 6:30-7:30 pm, is for parents of kids ages 5-7. It will be at Leopold Elementary School, 2602 Post Road. In each case children are welcome and will enjoy a storytime with a craft activity while parents learn how to help their children enjoy success as readers. Each workshop will use books by and about African Americans. Families will receive a free book to take home. Call Megan, 843-5757, with questions. The second set of workshops, to be held on January 19 and 26 respectively, will be lead by Georgene Leu Kuntz, a specialist in early childhood education and a former children's librarian. Both of these will be at the Fitchburg Community Center, 5510 Lacy Road from 6:30-8:00 p.m. Both will in the Fitchburg Room. The workshops are free, but registration is required. Call 843-5757 with questions or to register. Credit for Registry certified caregivers is available. The January 19 workshop for parents of very young children, birth to 4 years, will teach parents how to help children become ready to read. Join Georgene to clap, tap, rhyme, read, and sing. Learn how these simple, fun and enjoyable activities give children a healthy and happy start on the road to reading. The January 26 workshop is for parents of kids in grades kindergarten through third. If you are wondering how to support kids this age who are learning to read. The workshop focuses on helpful and practical ways to read with children whether they are enjoying reading or are reluctant to read. Learn about choosing books for all kinds of readers and tips for making reading meaningful and enjoyable. So why aren’t people who need our care getting it? • Would they feel better knowing they could get help anytime they needed it—days, nights and weekends? • Would it help to have their medical team visit them at home instead of traveling to the doctor? • Would they like help with coordination of visits, medications, medical equipment and navigating the healthcare system? • Would they like education on their illness—what to expect and when? • Would it help to have someone assist with caregiving so the family can take a break? • Would they feel better knowing that Medicare pays for all this and more? HospiceCare can help people get all of these services and answer questions. When there is nothing more that can be done to cure a disease, there is still much that can be done to enhance the patient’s life and to support the patient and the family. This feature is brought to you for general information purposes and just as a relief from purely local news and issues. · Dec 10, 1938 - Pearl S. Buck receives the Nobel Prize for Literature for "The Good Earth"
· Dec 6, 1927 (2002) - Patsy Mink, first Japanese-American Congresswoman (D-HI); wrote the Women's Educational Equity Act; played a key role in the enactment of Title IX which was renamed posthumously as the "Patsy Takemoto Mink Equal Opportunity in Education Act"
· Dec 21, 1959 (1998) - Florence Griffith Joyner, "Flo-Jo," Olympic track and field champion, won 3 gold medals and 1 silver at 1988 Summer games, called "World's Fastest Woman"
Watch people crowd around to see whose birthday they share. 750 women from U.S. history are named on this oversized poster with day by day listings, colorfully bordered with images representing their many activities. Alphabetical list included for cross reference. Things are coming to a head regarding comments to the Wisconsin Department of Transportation (WisDOT) about the Verona Road/West Beltline reconstruction project. Time is of the essence. Madison will pass a resolution tomorrow, Dec. 14. Dane County will pass theirs on Thursday, Dec. 16. All comments from anyone and everyone will have to be in to WisDOT by Friday, December 17. Take positive action now to express any opinions you have. The rest of this e-News can help you. Thurs., Dec. 16 – 7 pm – DMNA Council Meeting – Prairie UU Society Bldg., corner of Whenona & Crawford. Any resident may attend, but only Council members may vote. This is a changed date! 5 – Speak at the Dec. 14 Madison Council Meeting. Here’s How. On this Tuesday, October 14, the Madison City Council will pass a resolution to deliver comments to the Wisconsin Department of Transportation (WisDOT) about the Verona Road reconstruction project. Neither the original resolution nor the Version 1 of the resolution -the version now shown in the October 14 agenda- is satisfactory to the Dunn’s Marsh Neighborhood Association (DMNA). The DMNA has been communicating to District 10 Alder Brian Solomon about the resolution. It is co-sponsored by Alder Solomon and Mayor Dave Cieslewicz. People in the neighborhood who have been most active on this subject have seen a revised resolution that meets the DMNA requested revisions. However, the currently revised resolution - the Version 1 mentioned above - totally ignores the most important suggestions that were made. Both the original resolution and Version 1 continue to be a praise document for WisDOT rather than a simple submittal document. The reason this is not acceptable to the DMNA is that we know of too many cases where people did not feel their concerns were listened to or heeded, where people were actually chided or almost ridiculed when talking in person with a WisDOT staff member, or where requested information wasn’t provided. Many neighborhood residents who testified at the October 13 official public hearing felt disrespected by the noisy conditions and apparent lack of attention to speakers giving testimony. Neighborhood activists and others in the know also feel that the Supplemental Draft Environmental Impact Statement and WisDOT personnel simply gloss over health and noise concerns of highways that will attract more traffic and put it closer to homes. Submittal resolutions drafted by Fitchburg and the County do not spend any space characterizing WisDOT’s process or plans. Clearly, that is not a requirement for a resolution. The requested resolution is provided in the next article. Refer to the links below to see with your own eyes the undesireable resolution City Council members are seeing with their December 14 agenda,. Another way to access it is to go to the Common Council part of the City of Madison website: http://www.cityofmadison.com/council/ <http://www.cityofmadison.com/council/> and follow a several step process. This might be useful, regardless, because then all the documents available to City Council members will be at your fingertips. Here are the steps once you get to the Common Council page. 2. Once you get to the agenda, scroll down to item 56. Just to the right of the number is a black bar. Click on the black bar, and you will get Legislative File ID 20239. 3. On the file, look down to the section called attachments. 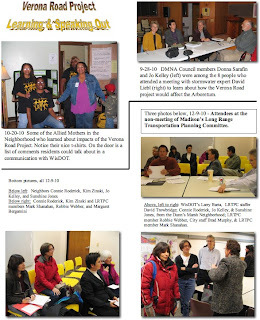 The first attachment is Legislative File Text <http://legistar.cityofmadison.com/detailreport/TextFileReport.aspx?key=22411&amp;ver=1> . 4. When you click on Legislative File Text <http://legistar.cityofmadison.com/detailreport/TextFileReport.aspx?key=22411&amp;ver=1> , the resolution will come up, perhaps as a download that you have to accept. Below is the text of the resolution that the DMNA Council unanimously adopted at its November 16 meeting and forwarded to Alder Brian Solomon. Notice how it is a neutral document, simply submitting staff comments. If you are planning to communicate with Alder Solomon or Mayor Dave Cieslewicz and wish to ask them to support the DMNA request, this is the wording to suggest along with leaving out all reference to Wisconsin Department of Transportation efforts and specific plans. Contact information is given later in this e-News. Providing the Wisconsin Department of Transportation with the City ofMadison’s comments on the Supplemental Draft Environmental Impact Statement (SDEIS) for the Verona Road/USH 18/151 Project. recommendations (to be finalized during the final design process), and where noted, enter into formal agreements with the City to ensure adequate implementation. No expenditure is required to convey the City comments on the SDEIS via this Resolution. City of Madison staff worked very hard to make revisions to their comments on the Verona Road project Environmental Impact Statement. They based their changes on the response the DMNA sent to Alder Brian Solomon on November 24 and which he passed on to them. While the revised comment document does incorporate many of the responses, some very important concepts were left out or perhaps misunderstood. Please check out Attachment #1 to this e-News to see the further refinements that the DMNA is requesting to the comments the city will sent to WisDOT. The cover letter (e-mail) that accompanied the request for these refinements detailed the main changes still wanted. Following is the main text of the e-mail sent to Alder Solomon and City staff on December 11 shortly after the revisions were available electronically. Most City revisions were right on target on noting Dunn’s Marsh Neighborhood Association and resident concerns. Thanks, City staff and Alder Solomon for your work on this. · to note that we don’t want new thoroughfares going through the neighborhood (p. 7, item 6 under transit, in regard to making a direct connection between Seminole Highway and the Summit intersection). · In reviewing the document, I found that we had not included points 7-10 on pages 8 and 9 of the document. We had meant to comment on item #10 on page 9 to indicate that opinion is mixed about extending Raymond Road across Verona Road into the Allied part of the neighborhood during Stage 3. Here’s a key to the documents that are attachments to Legislative File ID 20239 as well as direct links to them. Hopefully the links will work when they are part of the e-News. Second attachment to file 20239: Verona Road-SDEIS-City-comments-101510.pdf <http://legistar.cityofmadison.com/attachments/4d0d533e-14b4-4939-88ba-55f10db20ce3.pdf> These are the original City staff comments. Sixth attachment to file 20239: DMNA-comments-on-City-staff-memo <http://legistar.cityofmadison.com/attachments/6c0784b2-67e9-42d2-841f-e3d084592dfc.pdf> These are the DMNA’s comments on the original City staff comments. Seventh attachment to file 20239: Verona-Road-SDEIS-City-comments-120810 <http://legistar.cityofmadison.com/attachments/33a69b96-2b70-4947-a1bd-3b8cde69ae01.pdf> These are the revised City staff comments that are based on the DMNA comments. As stated above, the DMNA is requesting further refinement of the comments, and you may see the request by clicking on the attachment to this e-mail. It would probably be quite helpful to Alder Solomon to hear from people about the Verona Road project resolution and the City staff comments. All neighbors in our service area are encouraged to let Alder Solomon know your concerns about the project. Contact him at briansolomon@charter.net or district10@cityofmadison.com <mailto:district10@cityofmadison.com> or 446-1362. Since Mayor Dave Cieslewicz is also a co-sponsor of this resolution, you may want to contact him also. To do so, go to the city website http:///www.cityofmadison.com/contact/ or call 266-4611. If you want to support all the suggestions made by the DMNA about the resolution, simply say that. That would mean leaving out all the praise for WisDOT and leaving out the lists of plan elements. This request was sent to Alder Solomon on November 17. In addition, since the City Council discussion will occur tomorrow, Tuesday, December 14, you may want to make your views known to all the alders at once. Do this by sending your e-mail to allalders@cityofmadison.com This is only way to communicate with all alders at once other than by going to the meeting. You may have to copy and paste this address into your e-mail. The original resolution and comments can be seen as part of the City Council agenda for December 14. This is item 56 on the agenda. The first article about the Verona Road project explains how to get to the agenda on-line. Anyone who wants to can speak about the Verona Road project in front of the Madison City Council meeting on Tuesday, December 14. Three minutes is the limit. It’s good to have a written statement to speak from, since 3 minutes goes surprisingly fast. To speak, one needs to register at the table just inside Room 201 of the City County Building just before the meeting. Then give the registration slip to the person accepting them on the platform in front of the room. The meeting begins at 6:30. Fill out the slip with your name, address, and agenda item. The Verona Road resolution is item 56. Also check whether you are in support or in opposition to the item and whether you wish to speak. Lately, there’s been a lot of talk on the part of activists of demanding a moratorium on the project. If that’s your opinion, probably “oppose” would be the box to check. However, since City staff comments are made part of the resolution by reference, and you may support most or all of the comments, the “support” box may be the one to check. Regardless of which box you check, if you speak, you can explain just what you are for or against. The Verona Road resolution proposed by 5 County Supervisors will be brought to a vote of the full County Board on Thursday, December 16. While it asks for a number of amenities that the DMNA has spoken out for, the text as shown in the current County Board agenda might be better if tweaked somewhat. Unlike the City of Madison resolution, the County resolution names in the resolution itself some issues that “should be underscored.” It mentions particularly “the need for noise barriers, monitoring air quality, preservation of commercial areas, minimizing impacts on established neighborhoods, stormwater management that would steer water away from Dunn’s Marsh, and the need for bike lanes, pedestrian/bicycle bridges and sidewalks on frontage and neighborhood roads.” All of these are issues that about which the Dunn’s Marsh Neighborhood has expressed concerns and suggestions. It is in the list of “Therefore, be it resolved” that some wordings might be changed to clarify intent. These issues have been brought to attention of the at least one of the 5 County Supervisors co-sponsoring the resolution. One of the recommendations in the resolution is to “Preserve a commercial frontage road on the south side of the beltline between the Verona road and Seminole Highway exits.” At first this might be read that business buildings should be retained on the Beltline frontage road. In general, this would probably be supported by the Dunn’s Marsh neighborhood, but, - and it’s a huge “but” – the neighborhood associations have asked for “Option B” for the Beltline frontage road. Option B would keep the frontage road next to the Beltline rather than dipping down into the neighborhood on Britta Parkway. Option B requires 3 more business buildings to be demolished. Therefore, WisDOT might think the County is favoring Option A instead. It seems that mentioning Option B as the desired design for the Beltline frontage road is necessary to avoid confusion. Regarding noise barriers, one activist questioned why the southwest corner was not mentioned as a need area while all other quadrants were. Word has it that Co. Supervisor Matt Veldran will add the southwest corner for noise barriers. The resolution asks also WisDOT to commit to air quality monitoring, noise impact and stormwater runoff impact monitoring of the upgraded road. These are all requests that the DMNA has made. However, the DMNA has also specifically asked for monitoring prior to reconstruction as well as continuously afterward. Will WisDOT understand that baseline monitoring is required in order to tell how impacts are changed by the reconstructed roads? 7 - How to Contact Dane County Board Supervisors. Decision to Be Made Thursday, Dec. 16. To express your opinion about the Dane County resolution about Verona Road, it would be best to contact the representatives for our neighborhood plus the other County Supervisors who are co-sponsors of the resolution. The two co-sponsors who represent our neighborhood are Carousel Bayrd and Matt Veldran. The other co-sponsors are Chuck Erickson, Robin Schmidt, and Jack Martz. Time is drawing short. On this Friday, December 17, all comments on the Verona Road project must be in to the Wisconsin Department of Transportation (WisDOT). His phone number is (608) 246-3884. You may want to send e-mail copies to other WisDOT personnel, to WisDOT’s consultant Strand Associates, to various elected representatives, and to the press. These are some of the people one resident copied her e-mails to. Dunn’s Marsh Neighborhood residents have been appearing before City of Madison Committees that were considering the City’s resolution and comments on the Verona Road reconstruction project as well as communicating with 10th District Alder Brian Solomon. As a result of an appearance at the Pedestrian/Bike Committee on November 23, the committee favored adding a ped/bike bridge over Verona Road at the Beltline. Unfortunately, the Long Range Transportation Planning Committee could take no position on December 9, since a quorum was not present within 15 minutes of starting time. The snowy weather that caused traffic-jammed streets meant that it took some people 1 ½ hours to get downtown where normally 20 minutes might do the job. Only 5 members were present by 5:15 pm on that slippery-slidey, traffic-gridlock afternoon. Six were required for quorum. The sixth member showed up about 6:35. The 7 people who came to speak about the project were allowed to make their presentations, but the committee was told that they could not ask any questions or discuss the project. It was a non-meeting. DMNA members who have attended recent City committee meetings to talk about the Verona Road project are JoAnne Kelley, Connie Roderick, Kim Zinski, Donna Sarafin, Sunshine Jones, and Mary Mullen. In recent weeks, DMNA Council members have participated in outreach to the Allied and Avalon Village Mothers’ groups organized by Sina Davis. Sina is the Vice President of the Allied-Dunn’s Marsh Neighborhood Association, but this is an initiative separate from the ADMNA. One of the major purposes of the Mothers’ groups is to provide a good example to the younger generation. About a dozen people attended the October 20 meeting of the Allied Mothers in the Neighborhood at the Joining Forces For the Family building on Allied. This included DMNA Council members Jo Kelley and Mary Mullen. Dorothy Krause, who was elected to the Council on October 21 also attended. Mary presented the map of the Verona Road project and especially highlighted the dangers of the relocated Verona Frontage Road that will encircle Walgreen’s, the strip mall, and the cash-for-titles business. A similar presentation was made to the Avalon Village Mothers’ group on October 25.